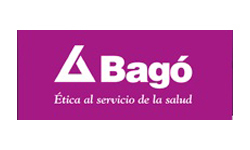 Established in 1934, The Bagó Group is Argentina's premier pharmaceutical group, with consolidated sales of over US $ 1 Billion. The group comprises different companies focused on human health, animal Health, and pharmaceutical distribution. The Bagó Group companies have achieved a leading position in the markets in Latin America, North America, Europe and Asia, with a combined workforce of 4800 people, all working with a shared commitment towards improving health worldwide. Ferozsons and Bagó entered into commercial partnership in 2002 to launch the Bago range of quality branded generics in the field of oncology and hepatology in Pakistan. Within the first two years, together we achieved a leadership position, becoming one of the top 3 companies in both Oncology and hepatology segments. In December 2004, Bagó and Ferozsons signed agreed in principle to enter into a joint-venture in Pakistan. The agreement to form BF Biosciences Limited, Pakistan's first biotech formulation company was signed in 2006. The plant, which has been built on a 27 acre site in Lahore, Pakistan, was completed in 2009 and manufactures biological medicines to treat Cancer and Hepatitis C for the local and export markets. The joint-venture has put Pakistan on the map of countries with biotech manufacturing capacity. As the first USFDA compliant pharmaceutical facility in the country, we have also helped Pakistan join the select group of companies that are exporting biotech pharmaceuticals. Exports have already commenced to Asian Markets. Biofreeze is a globally renowned brand of products providing relief to countless arthritis sufferers. The pain reliever's unique, cooling formulation is also comforting to sore muscles and muscle sprains; easing back, shoulder and neck pain; reducing painful ankle, knee, hip and elbow joints and helping to lessen effects of muscular strains. Biofreeze 360° Spray delivers the #1 clinically recommended topical analgesic using the best spray technology on the market today—it works from any angle, even upside down. Owned by the Performance Health Inc., Ferozsons is an exclusive partner of Biofreeze in Pakistan for the entire range of products including sprays, roll-ons and gels. The brand serves a wide range of customers looking to relieve pain. BioGaia is an innovative Swedish company and a world leader in probiotics, with over 20 years of experience in developing, marketing and selling probiotic products with documented health benefits. The company's products combine its well-researched patented probiotic bacteria Lactobacillus reuteri and top of the line engineering to develop unique, palatable and clinically proven probiotic products. Lactobacillus re-uteri is a “good” and friendly bacterium that helps battle the “bad” microorganisms in the digestive tract, improving the host's health. Ferozsons Laboratories Limited is the authorized distributor in Pakistan for Boston Scientific Corporation's range of interventional products, with applications in Cardiology, G.I. Endoscopy, Oncology, Peripheral Vascular Disease, Urology and Women's Health. Boston scientific Corporation is the world's leading medical device manufacturer, with revenues of over $7 Billion in 2012, and investment in R&D of over $ 1 Billion. Boston Scientific delivers a broad portfolio of innovative medical solutions worldwide. It's products including Promus Element ®, Taxus Element ® drug eluting stents and Omega ® bare-metal stents, with their patented platinum-chromium platform, are considered to be the best-in-class today. The company is also a leader in rotational atherectomy with its Rotablator ® system, and IVUS technology with the iLab ® system. GE Healthcare provides transformational medical technologies and services that are shaping a new age of patient care. Our broad expertise in medical imaging and information technologies, medical diagnostics, patient monitoring systems, drug discovery, biopharmaceutical manufacturing technologies, performance improvement and performance solutions services help our customers to deliver better care to more people around the world at a lower cost. In addition, GE Healthcare partners with healthcare leaders, striving to leverage the global policy change necessary to implement a successful shift to sustainable healthcare systems. GE Healthcare is a unit of General Electric Company (NYSE: GE). Ferozsons Laboratories Limited entered into a non-exclusive international distribution agreement with GE Healthcare FZE. Under the agreement, Ferozsons will promote and sell the selected GE Healthcare Ultrasound products from the Value Segment. Through these lines of products and technologies, Ferozsons is committed to advancing healthcare and patient care across the country. Gilead Sciences, Inc. is a research-based biopharmaceutical company that discovers, develops and commercializes innovative medicines in areas of unmet medical need. Gilead's portfolio of products and pipeline of investigational drugs includes treatments for HIV/AIDS, liver diseases, cancer, inflammatory and respiratory diseases, and cardiovascular conditions. Ferozsons partnered with the company in 2014 at the time of the launch of their HCV breakthrough treatment launch. Ferozsons first brought in the innovative treatment on named-patient basis, moving on to a large scale Access program for developing countries and is now Gilead’s authorized partner for introducing their portfolio of HBV, HCV and HIV treatments in Pakistan and additionally hold an in-country license to manufacture authorized generics of Gilead's products for HCV. Kadmon is a global biopharmaceutical company built on a 21st-century paradigm for the translation of innovative science into treatment. The company currently offers products for the treatment and management of hepatitis C. The company's product INFERGEN ® (interferon alfacon), is the only USFDA approved therapy to treat relapsers and non-responders to peg interferon in non-Genotype I patients. Kadmon is pioneering medicines in oncology, infectious diseases, immunology and neurodegenerative diseases by using new understandings in molecular biology to develop therapies that target the metabolomics and signaling pathways associated with disease. Kadmon's strategy breaks from the costly, time-consuming and inefficient drug development models of the past by leveraging its growing, specialist-driven commercial platform to advance a pipeline of novel small molecules and biologics. By challenging how treatments for serious diseases are developed today, Kadmon is developing the cures of tomorrow. Kadmon Corporation, LLC is headquartered in New York City with operations in Warrendale, PA and Boston, MA. PanTheryx, Inc., a U.S. medical Nutrition Company based in Boulder, Colorado, is dedicated to improving global health and quality of life through innovative science focused on the research, development and commercialization of products that promote intestinal health. Globally, billions of people suffer each year from the complications of infectious diarrhea. A leading cause of malnutrition, infectious diarrhea results in death for nearly three quarters of a million children under the age of five each year. Ferozsons partnered with PanTheryx in 2016 for their range for nutritional supplements as Diarrhea is a leading cause of morbidity in Pakistan.